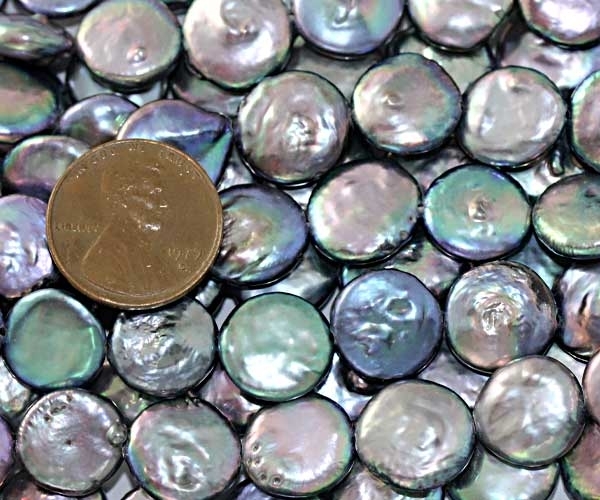 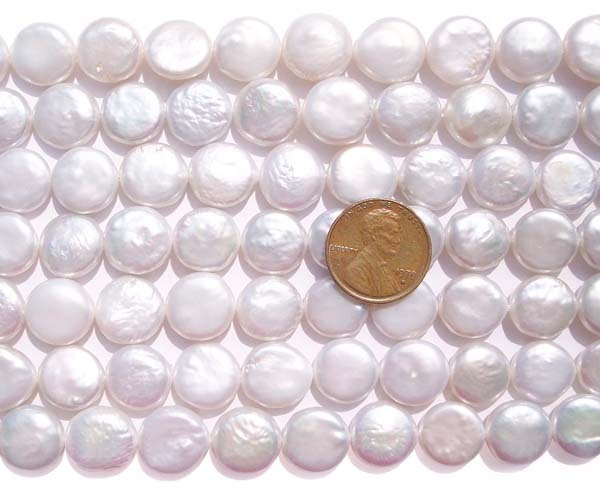 The pearls have nice luster with a few nautrual surface markings as you can see from the picture. 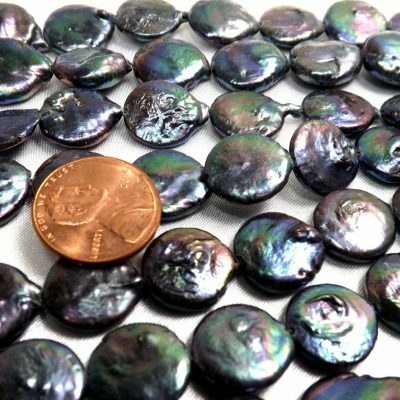 There are 2 colors available: multi-black color with high luster and white, and approximately 12-13mm in size. 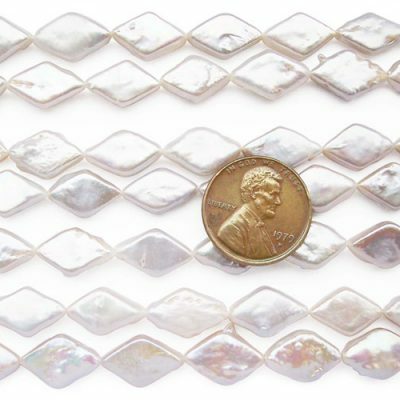 There are approximately 31 pearls on a strand at 15-15.5in long. 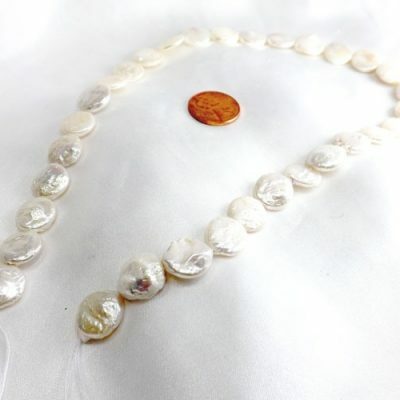 The picture is taken from a real strand with a penny next to it to give you a sense of the size.